Deb Forte and Luis Silva at Boston Agent magazine’s Who’s Who 2018 issue release party at Pierce Boston. Some of the best and brightest in Boston real estate were honored by Boston Agent magazine at the release party for its annual special edition, the 2018 Who’s Who in Boston Real Estate issue. The event was hosted on the top floor of Pierce Boston in Fenway, one of the city’s newest luxury residential towers. In attendance were the real estate agents and other industry professionals profiled in this year’s Who’s Who issue, which catalogues the local names to know in the business, as well as the staff of Boston Agent magazine and the developer and sales team of the Pierce, Samuels & Associates. This year also marked the first time that the Boston Who’s Who issue has appeared in print as well as online. “We are committed to helping agents create successful careers in real estate, and I know Leslie shares that vision with us,” said Anne Hartnett, publisher and co-founder of Boston Agent as she introduced Leslie Cohen, chief operating officer of Samuels & Associates. Click here to see more photos from our Who’s Who launch party. The top floor of the Pierce, with sweeping views of the Boston skyline, made the perfect setting for an evening celebrating some of the city’s best real estate professionals. Cohen took time to share with guests some of the most unique features of the new tower, which includes 240 apartments and 109 condo units. Afterward, guests dined on hors d’oeuvres and enjoyed the sounds of Berklee School of Music students performing as part of a jazz trio. As Boston real estate continues to grow in sales and scope, the city’s real estate agents, lenders and other professionals are also expanding their reach into new opportunities. 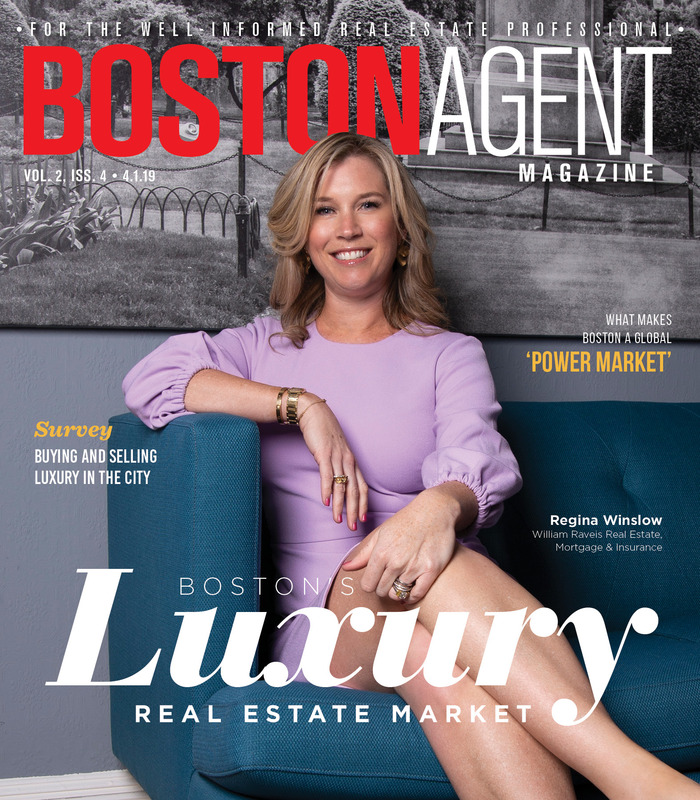 Boston Agent magazine will continue to follow the industry and the people who are pushing it to new heights, while also delivering insight into local and national real estate markets and the business of homebuying and selling.